If there isn’t much a cup of tea can’t fix, then a really good coffee can change the world. Well, certain parts of it anyway. The Little Collins Cafe on Lexington is off to a good start. 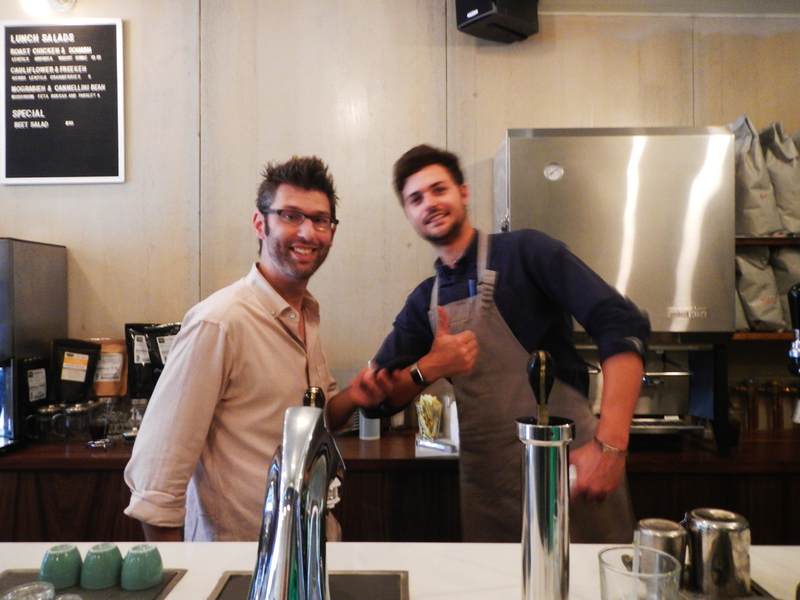 They opened their doors a few weeks ago with an Australian welcome, and a trendy but transforming fit-out that will have you reordering flat whites just to watch it all work. 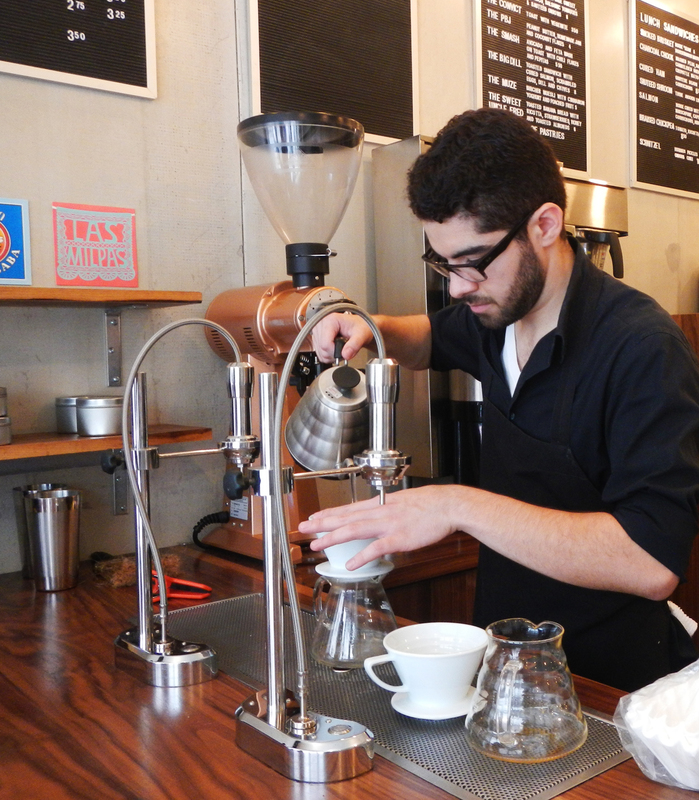 Leon, the owner and barista extraordinaire, came to NYC from Melbourne to work as a lawyer. But the daily grind was not the blend he was looking for, so one bar was quickly swopped out for another. 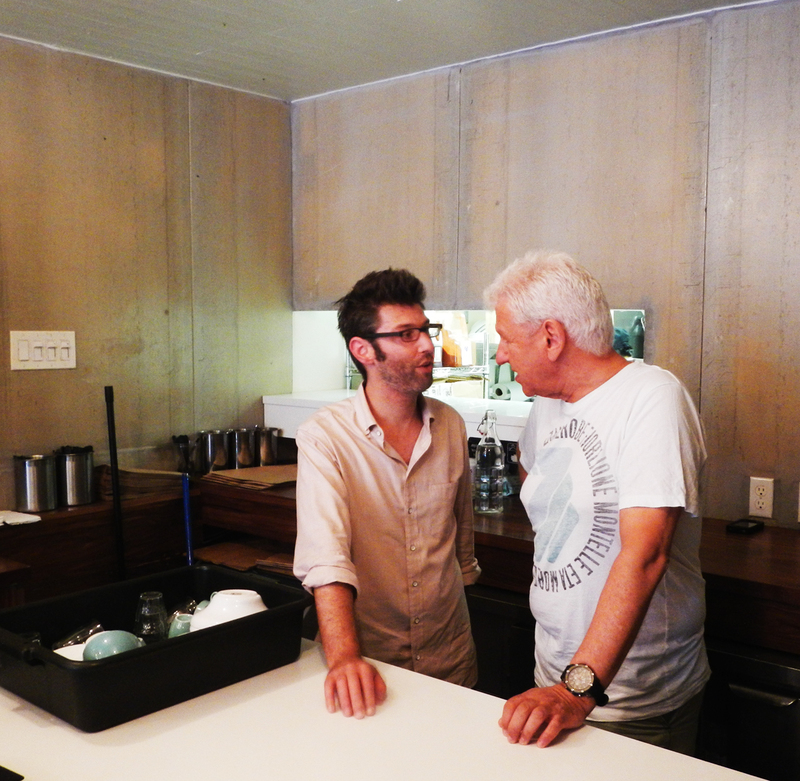 Kaffe 1668 became Toby’s Estate in Williamsburg, and the collective experience of managing these hot spots coincided with a great opportunity to open a new cafe in midtown. This part of town was drastically in need of a good coffee shop so Leon was greeted like a saviour by the locals – even his vegemite challenge was taken seriously, and there were more than a few free coffees given away when Americans successfully ate a whole piece of blackened toast. Offerings are expressed coffee like the classic flat white and the almost scientifically prepared pour-overs, but the Modbar, making it’s first appearance in NYC, is the eye-catching feature that allows the barista to work and interact with patrons at the same time. Instead of having a monstrous steaming box on the bench, all the mechanical parts of the apparatus are hidden underneath. The result looks like chrome soda fountains curving majestically out of the counter. Between those that express and those that steam, there is a cleansing unit that zaps the milk jug after each use. When you order a flat white, not only is the coffee ground freshly, but just enough milk per cup is heated and the rest disposed of. One coffee is made at a time. It’s a total juggle of portioned perfection. Even more than the excellent coffee, the best part of swinging by the packed cafe this morning was the happenstance of finding Leon’s parents just arrived from Melbourne. There were celebrations all round and definitely no time for jet lag. One minute it was customs and the next they were running cappuchinos to table two. So it may turn out to be a busboys holiday but at least the coffee will be good…. 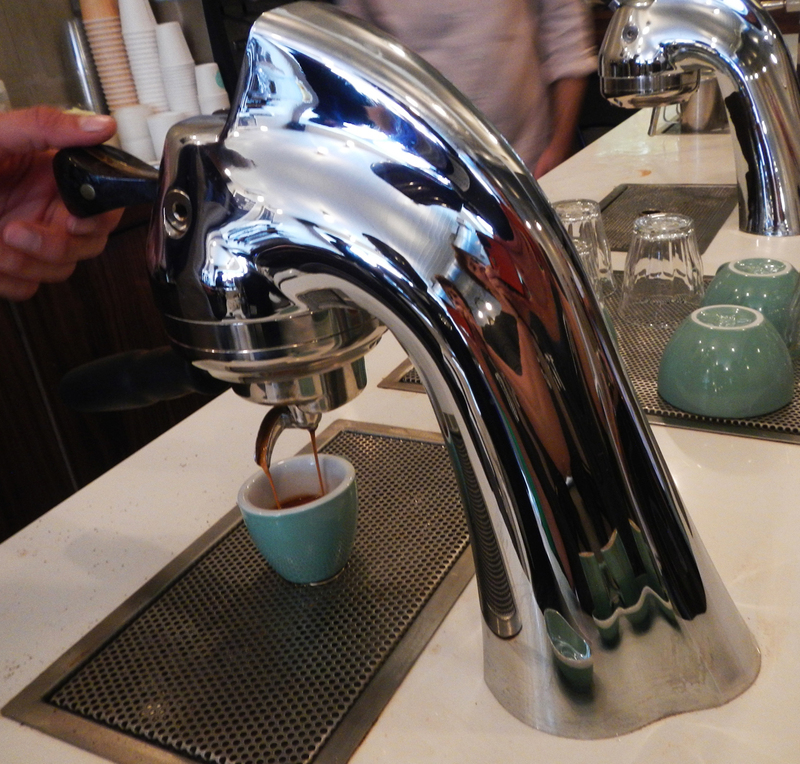 This entry was posted in coffee, Uncategorized and tagged coffee NYC, Little Collins. Bookmark the permalink. 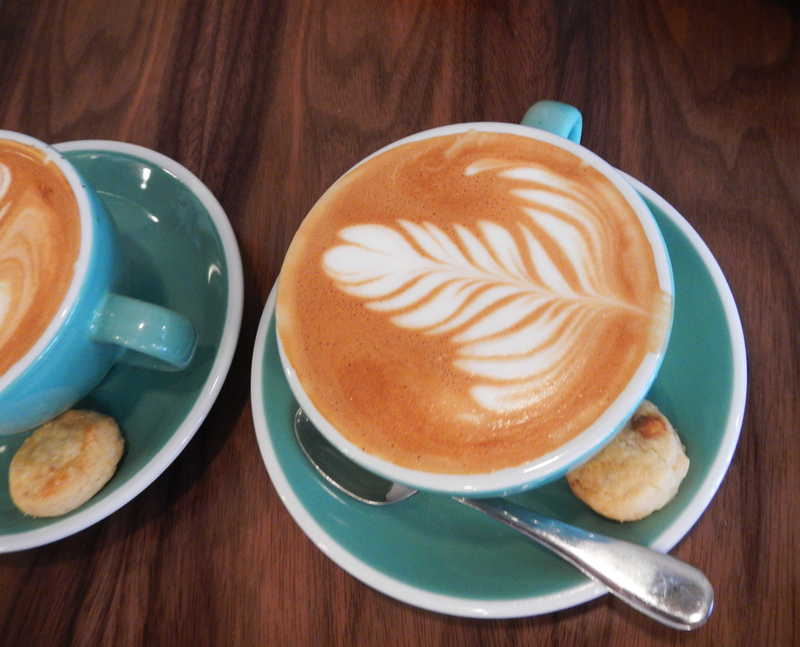 Great to hear Annie – Hood River may not have flat whites , but it looks spectacular! We’ll keep the machine turned on in anticipation of your return to NYC…. Just spent a brief 4 days in NYC. Tried all your recommendations for a decent coffee and the only one that came close to being worth the blisters from walking around looking for the place was Bluestone Lane Their avocado smash on rye was brilliant! The Eately store was stunning, but their coffee didn’t compete with Bluestone Lane. All the best to this new venture. it was great to listen to you again the other night chatting to Rod. Great piece! And you can add Leon’s sister, bro-in-law, and nephew to the busboy holidayers after we just arrived last night from Melbourne and will be daily visitors for the next 3 weeks for sure. Hope to see you there.